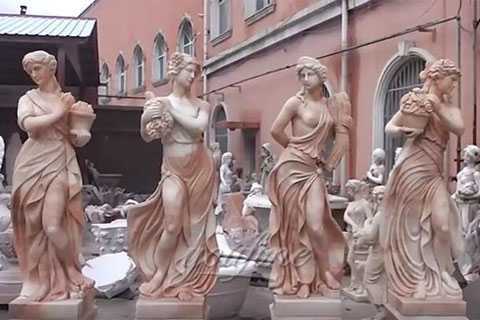 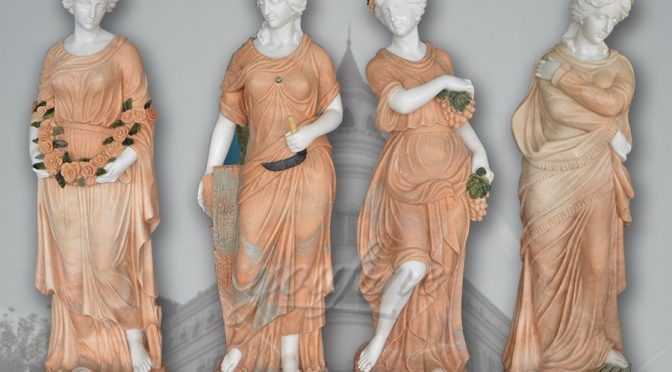 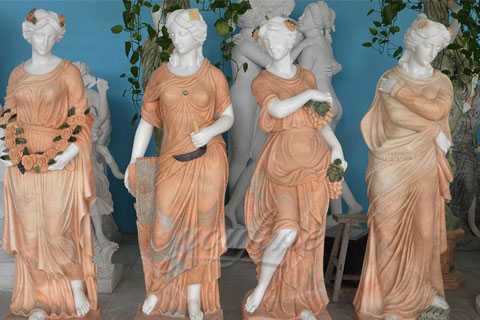 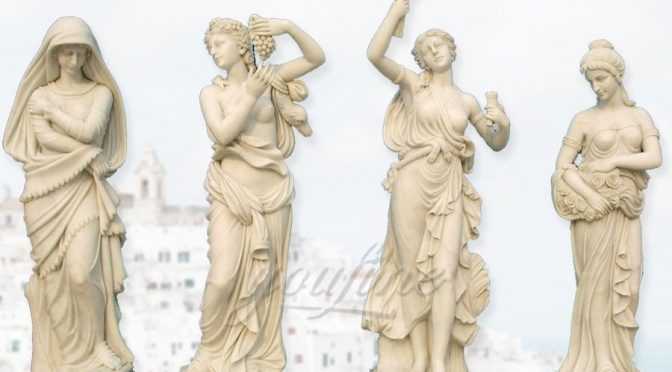 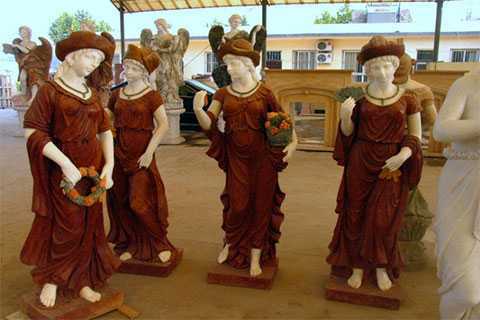 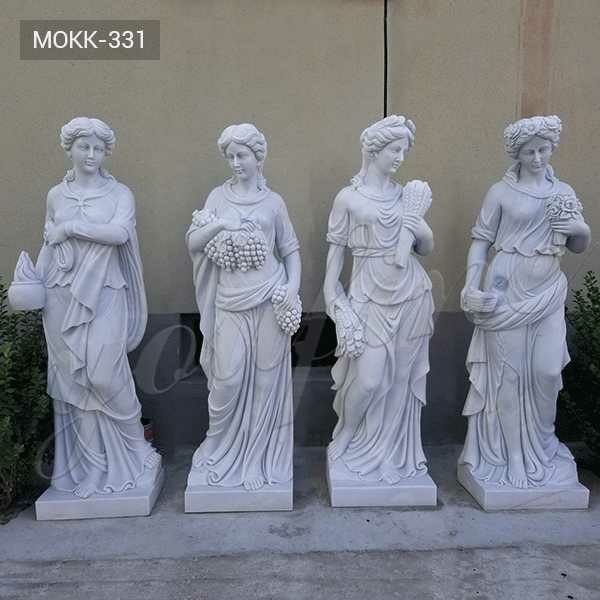 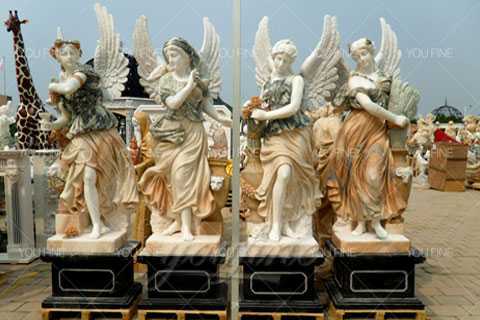 The four sculptures are similar in size, color, and sculptural style.The surface of Marble Four Goddesses of the Seasons Statues can be finished in several ways.So if there you have some requirement about Marble Four Goddesses of the Seasons Statues ,or want to other marble statue to decor your garden or backyard,please contact with us right NOW ! 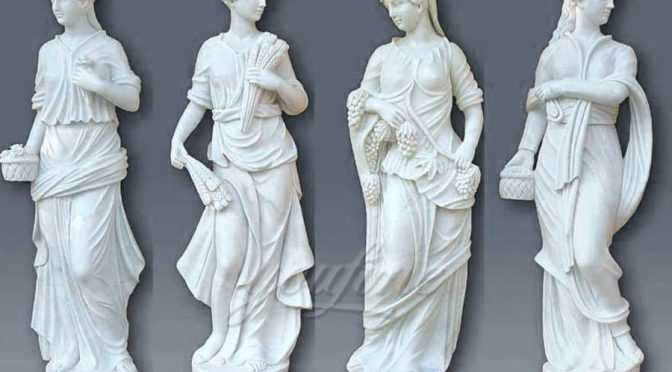 The Four Goddesses of the Seasons Statues have different characteristics for the four statues.So any requirement about The Four Goddesses of the Seasons Statues,please contact with YOU FINE ART SCULPTURE !We are specialized in producing eastern and western marble sculptures,marble animal sculptures,abstract sculptures,bust sculptures etc. 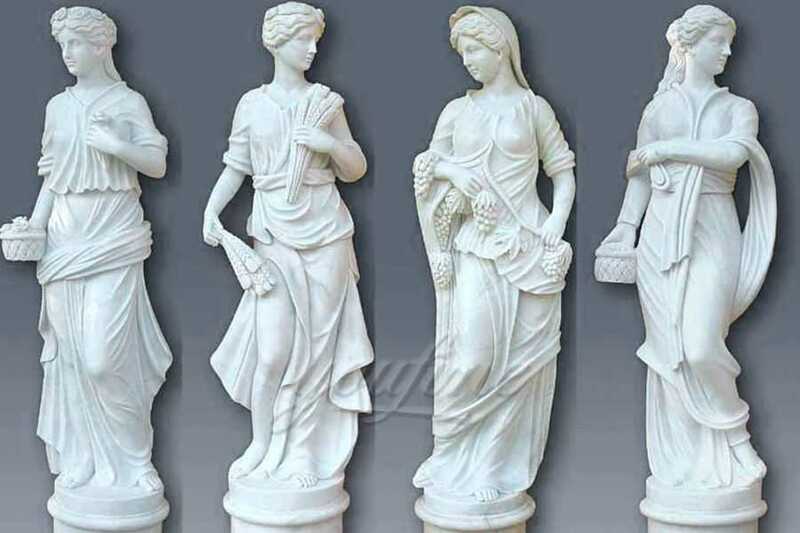 Please contact with us,if you have requirement about The Four Season Maidens Sculpture or want to custom made some other sculpture in marble,this is the right place to choose from !So all of the marble products can easily find a good market all over the world.And we all known that we Chinese suppliers are very popular since we have superior quality and competitive price. 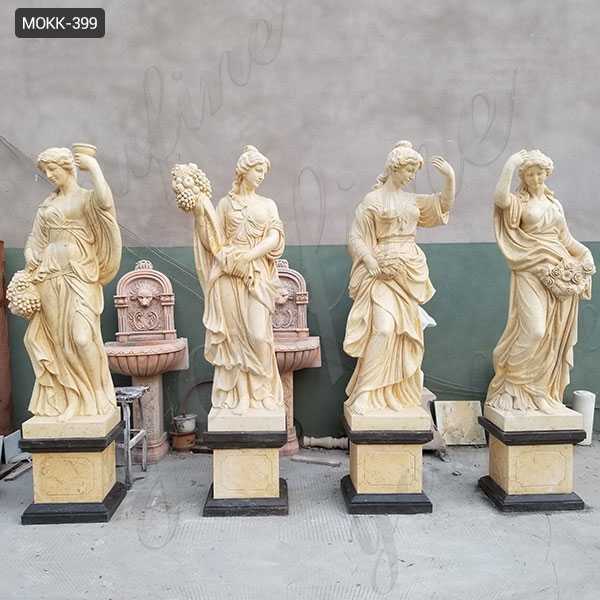 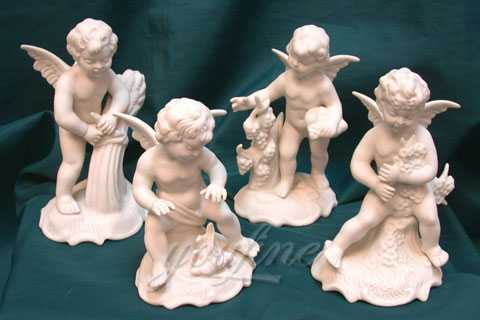 All this Four Seasons Statues are hand carved from natural Travertine , Marble , Granite or other types of stones we provide in wholesale – from our master Artisans (Sculptors) this 4 are in stock including bases ! 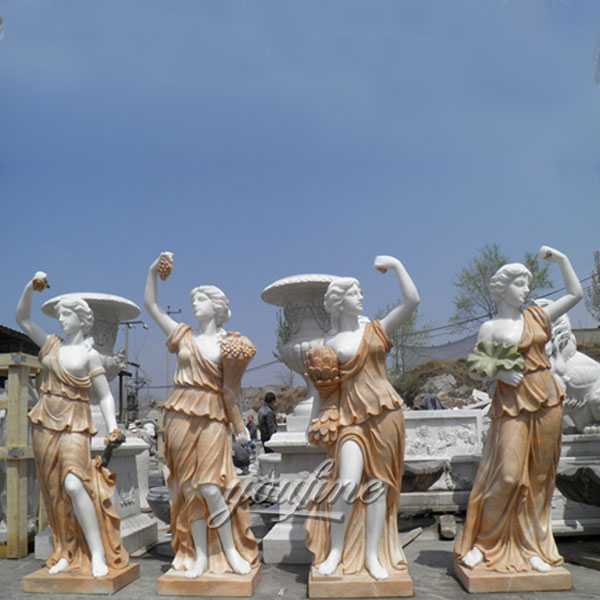 Size: 59 inches high or Customized Size.